IRIS FEMALE PIT MIX DOB: June 19. 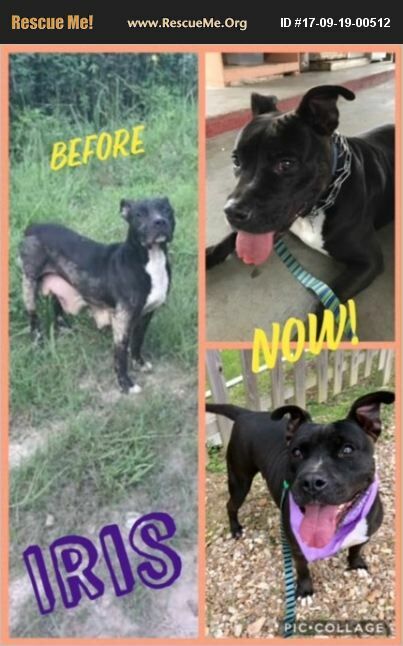 2013 50 POUNDS HEARTWORM: JUST FINISHED TREATMENT Iris has a story for the books...She was rescued by a group of community members who found her living in a cardboard box, on a back road, where she had been dumped. Iris lived there with her puppies, who were just several weeks old at the time. She was skin and bones, and scared of anyone who'd try to catch and rescue her. Through the teamwork of caring citizens, she was FINALLY captured and brought to the shelter. We went back many times to the location, but could not find her babies. However, one little pup came into the shelter and we KNEW it was her baby! They hit it off immediately! He has since been adopted, and sweet momma Iris is waiting. In the few short months we have had her, she has gained a considerable amount of weight, got her coat looking healthy and fabulous again, and spends her shelter days playing with other dogs. Iris is quite the kisser! She kisses people and dogs! If she had the chance, I bet she'd try to kiss cats too! She's the most deserving of a forever and happy ending!! She's just perfect, and we're honored to have helped her come back from the horrible life she once lived!